A stay at Hotel Mistral places you in the heart of Hydra, steps from Hydra Cathedral and 3 minutes by foot from Hydra Town Harbour. This family-friendly hotel is 0.2 mi (0.3 km) from Manor of George Kountouriotis and 0.2 mi (0.3 km) from Hydra Museum Historical Archives. When you a stay at Hydras Chromata in Hydra, you'll be by the sea, just steps from Ecclesiastic and Byzantine Museum and Hydra Town Harbour. 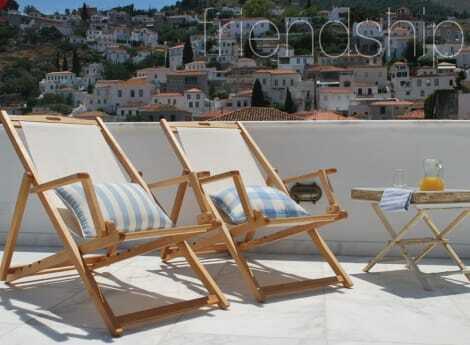 This apartment is 0.1 mi (0.2 km) from Hydra Cathedral and 0.2 mi (0.3 km) from Historic House of Lazaros Kountouriotis. Grab a bite from the snack bar/deli, or stay in and take advantage of the hotel's room service (during limited hours). Quench your thirst with your favorite drink at the bar/lounge. Buffet breakfasts are available daily from 8 AM to 11 AM for a fee. Take advantage of the hotel's room service (during limited hours). Quench your thirst with your favorite drink at the bar/lounge. A complimentary continental breakfast is served daily from 8 AM to 11 AM. lastminute.com has a fantastic range of hotels in Hydra, with everything from cheap hotels to luxurious five star accommodation available. We like to live up to our last minute name so remember you can book any one of our excellent Hydra hotels up until midnight and stay the same night.